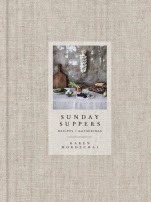 Sunday Suppers is the type of book that you keep on your coffee table or kitchen counter just to make the room feel cozy - and a source for spontaneous inspiration. It’s linen cover is charmingly quaint and inviting, and surprisingly decorative for a cookbook! The concept is incredibly intriguing – a sort of supper club that started with some random dinner invitations. Imagine inviting everyone you meet and enjoy to a casual dinner, every weekend. That is exactly what this book’s authors did, until the standing dinner date became a local phenomenon and an entire community center sprung up around it. Although I'm not sure I have the courage to invite perfect strangers to my house for dinner, I love the books premise that entertaining should be fun and simplistic, centered around delicious but not overly-complicated food. The book walks through entertaining in each season and gives creative menu ideas by theme. Planning a mushroom foraging party? Sunday Suppers has just the recipe collection for that. Rainy Sunday potluck? That's covered too. I love that both seasons and event themes are sources of recipe inspiration - because that is exactly how I think! Overall, a wonderful book that I can't wait to cook from in the new year. Stay tuned for the in-depth recipe review! 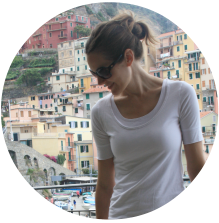 Disclaimer: I received the book Sunday Suppers for free from Blogging for Books for this review.